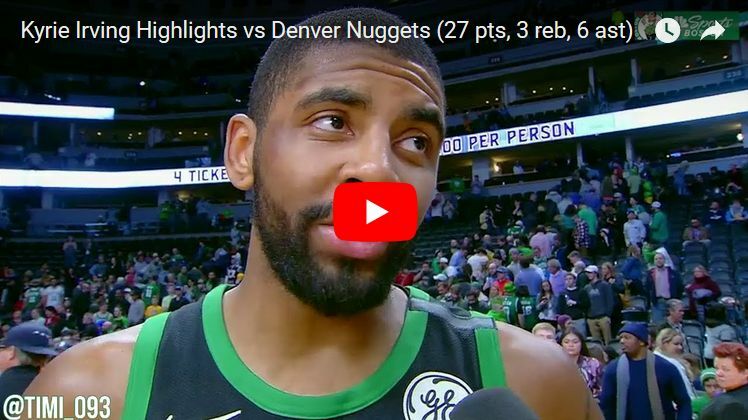 Kyrie Irving scored game-high 27 points to go with three rebounds and six assists as the Celtics wrapped up the road trip with a close win over Denver Nuggets. Jayson Tatum added 20 points on his own, posting six boards and four assists as well. Marcus Morris chipped in with 14 points and four rebounds off the bench in just 20 minutes of play. Daniel Theis got 11 points, including career-high three 3-pointers on the night, to go along with three rebounds and four dimes. German big once again brought so much energy into the court with his play. 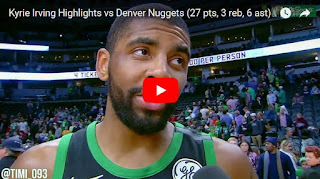 Al Horford finished the game with 10 points, six assists and two blocks, including a crucial dime to Jaylen Brown's three in the final minute of game.